Death of Fr Pat Egan C.Ss.R. The death has occurred today, July 9th, at c. 5pm of Fr. Patrick Egan, Redemptorist and member of the Esker Community. He died in University Hospital Galway, after a couple of weeks of illness. May he rest in peace. Ar dheis Dé go raibh a anam uasal. Fr. Pat was from Barnacarroll, near Claremorris, in Co. Mayo. He was born on 20 July 1923, and so was just eleven days short of his 93rd birthday. He was professed as a Redemptorist on 3 October 1943 in Dundalk; he was ordained priest 27 August 1950, in Cluain Mhuire, Galway. Along with him on that day were ordained the following: Frs. Paddy Breen †2013; Francis Mullaghy †2006; Dan Murphy †1976; Jim O’Connor †2016; and Fr. Brendan Boland who is now a member of the Edmonton-Toronto Province. of the country. He spent some years in Clonard Monastery, in Belfast, and was in charge of the Men’s Confraternity there when the ‘Troubles’ broke out in August 1969. He worked a great deal in the Gaeltacht areas of the West of Ireland, often with Fr. 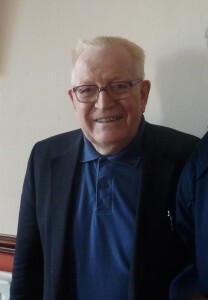 Frank Mullaghy, another Gaeilgeoir. 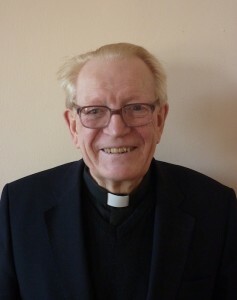 The death has occurred of Father Pat Egan, C.Ss.R., Redemptorist Community, Esker, Athenry, County Galway. (Peacefully) at University Hospital Galway City. Deeply missed by his nieces and nephews (the Columban Fathers Pat and Séamus) and extended Egan and Denvir familes, his Redemptorist confrères, friends, and the many people touched and inspired by his ministry. Arrival at Redemptorist Monastery, Esker, on Monday 4.00pm. Removal to church at 7.00pm. Funeral Mass on Tuesday, July 12th, at 12.00 noon. Suaimhneas síoraí tabhair dó a Dhia. Go raibh leaba agat, a Phádraig, i measc na naoimh. ← ‘BEING PRESENT IN THE PRESENCE’: Meditation Retreat: July 10-15.